Throughout the twenty years of CNC Associates’ existence, CNC has earned a reputation of excellent craftsmanship, progressive design, and superior service. CNC Associates, a pioneering leader in the industry, represents the ultimate in product diversity and trendsetting designs. CNC Associates offers a comprehensive range of products including framed domestic-style and frameless European-style cabinets, standard post-form and self-edge custom counter tops. CNC Associates has the fundamental experience and production capabilities to fabricate your designs to perfection and produce highly functional products based on your innovative ideas. CNC Associates strongly believes in meeting the goals of our customers and focusing primarily in the accomplishment of them. 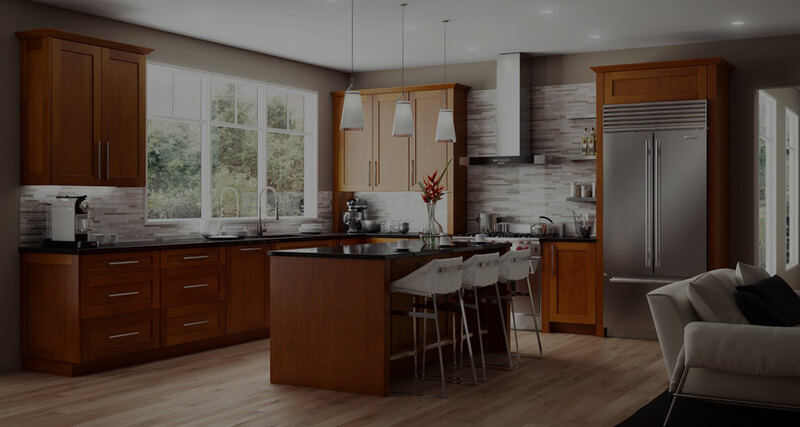 CNC Associates is one of the Northeast’s largest manufacturers and distributors of Kitchen Cabinets, Counter Tops, Bathroom Vanities and Vanity Tops. CNC Associates maintains a network of qualified sales and service representatives throughout the NY Metro area and beyond. CNC Associates specializes in servicing dealers with all kitchen and bath needs as a ONE STOP SHOP, with a full spectrum of pricing, ranging from low to high end and standard to custom. At Home Design Showroom, we are proud to offer a full line of CNC products. Contact us today or visit our showroom.